When i saw this video first time i was surprised. I was tricked because i was watching the one with Amharic text. When i was looking for the text and with the little tigrinya I know checking whether it was a satire, i couldn’t believe my ears because what he said and the text is the same. Then I had to check the lips movement. Then i knew it was one of the most creative satire in all its sens. You know we Ethiopians are spoiled these days with many supper goodies every day. I remembered how one Eritrean guy compared how Assab flourished in a couple of years after peace resumed between Eritrea and Ethiopia. According to him if i remember correct just before the war the residents of Assab shoot to 300,000 due to the high activities of the port and the refinery. The population grow is just like chain reaction. The workers at the port and refinery needed food and shelter, so restaurants and shops, and owners of the shops and the restaurant needed houses, schools, shops, hospitals, police station too, etc. And boom hit 300,000 residents. But behind that activity there was an issue who is going to control all that activities and the wealth, the power that activities bring about. If that control is for the goodness of both peoples then forget all other things and by now Assab could have reached to 1 million or more residents and we can figure it out what it means.. The more than 1 billion dollar the ports income Djibouti and the woyane government shared could have been for all Eritreans and Ethiopians (tplf is the one which decide the port price to make its corrupted empire grow faster, that is one of the reason did not want to share assab port. It can not cheat eplf. eplf knows every single cell of woyane). But eplf and tplf wanted to control that and wanted to be superman of East Africa. That power was there too if they used their brain normal like if eplf and tplf produce 200,000 soldiers each and slaughtered one another leaving Assab deserted or both reduce to total 300,000 and instead of using the money to wipe one another soldiers and resources they could have made the most power full military. What does Egypt or the middle east arabs want? eplf and tplf has done if for free what Egypt and Arabs could do it with billions of billions dollar to the same place where tplf and eplf are today. In your last monologize theater you seem to get confused. I advise you to replay and watch it. You were telling us that that at some point of time, you were with Phillipos together. Your narrative doesn’t sound right. You were a runaway he was/is a hero. He paid the ultimate price and he is still serving his country. You are trying just to elevate yourself at the level of Philippos and make yourself important. By doing that, you might think to impress people who don’t know you. Reality and dream are two different things. You spend all your life in Arab countries and now in US. Unfortunately, you could not make happen your dream to see an Eritrea run by Muslim brotherhood or an Eritrea where sharia prevails. But that won’t happen. By now, most of the people know that you have a hidden agenda. Your agenda is already exposed. Also, recently I see you getting nervous and desperate because of the Eritrean and Ethiopian government approaching each other. My friend, please cool down. In fact, you should embrace it. It is about the peace between two brotherly volk. They are brothers and sisters, and uncles and aunts. This reconciliation is just natural. Dividing Eritrea and Ethiopia was unnatural. I hope wisdom will prevail and the two brotherly people will dismantle the artificial barrier as Dr. Abiy said it correctly. The first thing that a listener notice is that the stories he tells are not about his plight. His own is one that is made almost in passing – it was just to illustrate the point in how the regime wouldn’t stop at anything even at a seemingly mundane comments, they would go to the end of the world to destroy a man’s livelihood. The central theme of the narrative is about others who were unfortunate enough to vanish under the agreement between Eritrean regime and the then-nascent Ethiopian leadership, it would still have been TPLF led governance. The story is not about the latter per se, but about PM Abiy’s peace initiative to take heed from recent history. 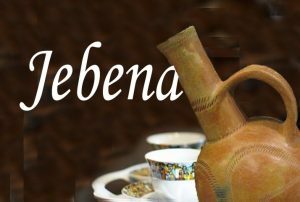 The narrator tells vivid stories of people who were members of Eritrean Liberation Front (ELF) who were treated as disposals. Several influential ELF cadres were quietly hunted down because of the agreements the two liberators turned governments in their respective countries security agreements. In PM Abiy parlance that would be state sponsored terrorism. The names SGJ mentions are names that are not only worth mentioning but must be made known to the PM Abiy’s team, especially because his theme has been one of love and not hate, one of adding and not subtracting nor dividing. 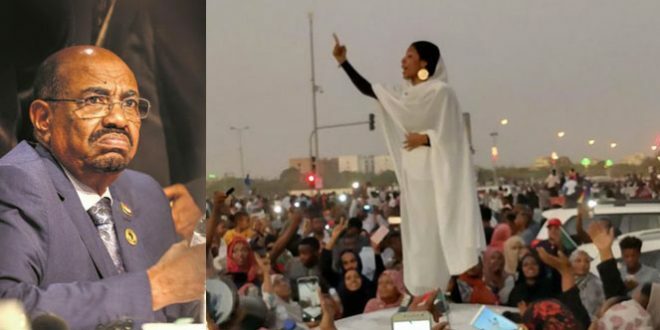 Such being the principles from which PM Abiy’s administration is approaching the peace negotiations, he, therefore, should make a point in seeing to it that the voices of the people are heard in some capacity both those who oppose the regime in Eritrea and those who are supportive of it. The voices of the former should become a component of the peace process. A nation that has made the country as one major prison hub should be forced to concede that – like Ethiopia – it, too, should free all of the prisoners that it has been holding hostage without any due process of the law. PM Abiy knows this first-hand. He has freed so many Ethiopians who have been unjustly imprisoned. Human life should never be made a pawn for whatever ills a nation is going through. So, in that spirit, the names that Saleh G. Johar mentions must serve as a reminder to never allow any Eritrean life to be spared for the sake of peace. Any peace that comes at the expense of human life is not worth having it. Period. Well said. There is no sacrificial lamb in a peace process. In fact that lamb is the most innocent among the protagonists. Here is a small poem that Discus lost I tried to reply to Abrehet’s ‘today is love, no hate’ response to Nitricc. I can’t believe some individuals are so stuck on this anachronistic world that doesn’t exist in our midst. The last thing one would accuse SGJ, which is not worth repeating is of his clear position on Eritrean nationalism. In this very episode he make a clear distinction between the two countries, but that doesn’t matter to those whose sole aim is to slash and burn. At any rate, here is how I started to respond to the exchange we had in a different thread. I started penning penned this way and decided against moving onward with it…events are just going way too fast for me to catch up. So, here it is: …events are so fluidly moving fast, it’s just next to impossible to stay on par let alone ahead of it. But, yea, I had this moment of epiphany in which I imagined the July 4th weekend festival being held by the two camps: One in Seattle and the other in Denver. Suddenly, without anybody’s compulsion the two camps decided – impromptu – that addition was better than division, the contagion of which caught Eritreans as well I thought in one fleeting moment…alas, I know that’s a pipe dream. So, I stopped it mid-thought…Seeing the message above from Hawaz I knew I was right. We Eritreans are good at attacking one another mercilessly no matter how absurd our topics or our reasoning for getting into the gutter. Let just destroy one another seems to be the Eritrean mantra. Agree on everything you said. SGJ has very sharp piercing fingers and tongue directed at the ear and mind, not at the heart, and some people ask why they are not bleeding. This part of what you said need to be repeated. “Eritreans are good at attacking one another mercilessly no matter how absurd our topics or our reasoning for getting into the gutter.” It need to be erased completely. I am happy to hear about the contagion. Lets hope the unchaining contagion will also be as contagious as the dansing. The two individuals that SGJ has mentioned were my comrades within the ELF organization. These individuals were members of EDM movements within the ELF organization. When SGJ mentioned and brought their name, it took me back to the old memory I had spent with them, our commitment to each other, and to the Democratic ideal we stood for. This evil organization with the cooperation of the Ethiopian Government, took their lives at the prime age of their lives. So I hope the current Ethiopian Government will not enter for such evilish agreement. I am sure that memory has engulfed at an unexpected moment. This has been said recently and should be repeated ad infinitum that a nation that is not at peace with itself cannot be at peace with its neighboring countries at least the meaning of peace that we all have in mind, not these heartless vultures like the man who had the temerity to use the term on Martyrs’ Day – Obscenity of the highest order. When people show callous disregard to a human life they are willing to spare in the name of not wanting anyone to challenge them in ballot box; when such Faustian bargain between the two nascent Liberation Fronts turned governments of Eritrea and Ethiopia, who still couldn’t stand anyone opposing them legitimately, it is one hopeless case. It is to some such sick – contemporary – history that PM Abiy was calling it by its rightful name as state sponsored terrorism. Lucky for Ethiopia for having been able to overcome such a challenge and is moving onward to a peaceful Ethiopia that respects human life and the dignity that comes associated with it. But, individuals like Hawaz have the audacity to besmirch names of people they don’t even know. People who are living in exile not causing any harm to anybody. It is inexplicable Eritrean mindset that I just don’t get. I genuinely don’t understand it. Just to let you know that I have heard,read, heard, read the “your agenda is exposed” for many years. You just exposed it? But what am I doing responding to your BIGOTRY? You didn’t even understand what you heard. But keep listening and you might learn something. Thank you for listening. Now gentle man, why are you so much upset ? He is exposing the nature of PFDJ then EPLF as you can see, I agree with what he said on this..
“In PM Abiy parlance that would be state sponsored terrorism. The names SGJ mentions are names that are not only worth mentioning but must be made known to the PM Abiy’s team, especially because his theme has been one of love and not hate, one of adding and not subtracting nor dividing. BN. Can any one tell us in few sentences the eritrean delegate’s response to the ethiopian pm’s message at the reception dinner at the palace. I heard they say ” our love still exist like it used to be 20 years ago( before the war), it doesn’t fell it been 20 years since we see each other, it fells like a few days” somthing like that. ኣንታ እንታይ እዩ ዝኸይድ ዘሎ ? You know the saying, “…Erfi atsne’E” I am not surprised because I have seen the phenomenon repeated so many times. The most painful thing is when all of a sudden warmongers pretend to be peaceniks! Worse, they play a double, confused role of being perpetually at war with the “Weyane” and at the same time mimic peace slogans with Ethiopia. In the universe of illogic, wayane is not Ethiopians. If they listened to the speach of the PM, he told to the delegates that the Peace is more to “Tigray kilil of Ethiopia” and “Eritrea.” This parrots, they must hear from their demigod that wayane are tigrian, and Tigray is Ethiopia. 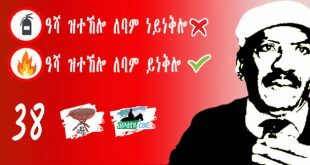 I hope the PM to go to Asmara to give them the same message. I saw the welcoming pictures of the Eritrean delegation by PMAA. Among the high Ethiopian officials welcoming the Asmara delegation was ‘Arkebe Inqubay’ , a known favorite son of Tigray, Ethiopia. I believe he was the Mayor of Addis at one time. I am sure there are others of similar background that I don’t know. I don’t want to accuse him of anything. Isn’t he a high official and member of TPLF. In other words when PMAA and Yemane talk Arkebe can listen. Unless Yemane has learned to speak Afaan Oromoo just for the occasion. I don’t understand as to how Awatistas with college education talk as if Tigray is not part of the Ethiopian government or in extreme cases the country. Are you sure Tigrai is part of Ethiopia? That is a serious problem because the PFDJ has plans to keep fighting Tigrai while making peace with Ethiopia. You soiled it for them. I don’t know this Arkebe Iqubay. One thing for sure I know is the PM is an EPRDF leader and TPLF is member party. Therefore, you should not be surprised if you see a TPLF member in the PM minister’s team. The PM minister understood the peace and reconciliation is more important to PFDJ and TPLF than anything else. The Ethiopian and Eritrean people have nothing to do to their nemesis. So there is no peace project of the PM without the two nemesis. On the forumers in this forum, those who are looking rapprochement only with part of Ethiopia are the supporters of the despot and his parrots who do not have any dream except the disintegration of Ethiopia. That is why the PM should be careful with the despot and his emissaries. There is no Ethiopia without Tigray and TPLF is their organization as simple as that. There is one important fact eritrean regime supporters should have in mind. That is ethiopians may demean tplf(woyane), now and then for certain things they did and ethiopians do not like, i am one of them, nevertheless, they should know that it will not take ethiopians even a fraction of a second if they have to choose between tigray and eritrea, as they have done in 1998. Tigray is ethiopia and ethiopia is tigray. Tigrayans are ethiopians, and pfdjists should never doubt this fact. That is why i say that there will be no solution to the border impasse without the participation of tplf. In future relations with ethiopia, eritreans should always consider tplf, or any other party that may represent tigray, part to the ethiopian side of the equation. I don’t know why u guys want to creat the impression that as if there is a conspiracy to isolate tigrai. As pm AAA said tplf and tigrai is two different things and am sure the eritreans knew that a behaved tigrai is closer to them. And try to Listen what pm AAA said today ” it is good if eritrea do business with “west tigrai”” West tigrai means the gov name for welkyet. 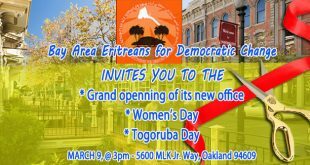 In your logical universe then Tplf must keep Eritrea and Ethoipia in NWNP so that tplf sit in power by its skills in wagdjing war and hate among nations, ethnic groups and when desperate even down to clans. PIA and his supporters know the logic of TPLF. NO more sucking others blood and wealth by wading war. Maybe you are confused just like tplf. Their confusion is that since they are/were government of Ethiopia and Tigray they could manuplate the what kind of relation we must have with Eritrea. But that way of thinking has brought this reality we are in now. 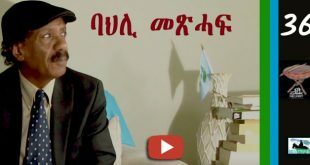 The rest of us has chosen peace and if Tplf meant that war is the solution we repeat what the ethnic hate and war architect Meless (their PM) has said: ” do you want ,Assab, go ahead and fight and return it, good luck, he said”. And we the majority of Eritrea and Ethiopians repeat if tplf wants Badme war as a strategy to have assab for Tigra, go ahead and fight with eplf. But we dont allow at least the non tigray die for a sinister war. As to PIA or anybody think Tigray as an independent dont be surprised (it is PIA who convinced them to unite with Ethiopia or else they were for Independence) land look how they rejected the change which brought happiness for millions. Besides they can use the article 39 (self determination) which they love most from all articles of our constitution. 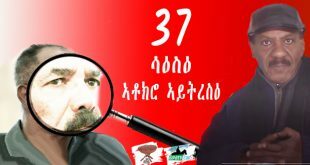 Do you think it is too soon for Tigray to exercise the article. So please dont assume there are only tgrians live in Ethiopia. We are 110 million people with more than 49 ethnic groups for God sake. Excellent message. Indeed a nation which is not at peace with itself, can not make peace with its neighbors. The Ethiopian Government should not overlook this facts. Eritrea is not at peace with itself. If the changes in Ethiopia can not influence change in Eritrea, there will be no real peace of the two brotherly people. The damage that caused by the agreements between the two governments in the 90s, was worth mentioning and you did a good job in highlighting it. It is a good reminder for the young Ethiopian leader. I thank you for that. 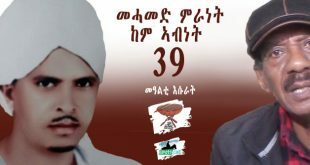 If there is one loss and martyrdom of an Eritrean has hurt me deep in my heart it is that of Zekaryas Neguse. 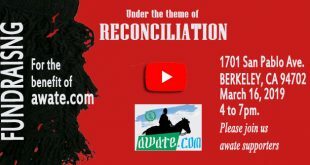 The betrayal of Zekarias cuts deep and one day volumes of this gentle Eritrean Officer and Scholar will be told, even if in a historical novel genre. I wonder why now SJG is mentioning him by name other than the consequences of GoEr GoEt agreements. SJG also mentions Eritrean Forum starting in NYC early on post 9/18/01. As I happen to be there and one of the very early advocates, I wonder now if it warrants the telling the detailed blitz takeover, one considers as hostile, by the ELF group and their steering from the original spirit of Forum by their commandeering to due sheer overwhelming of numbers. And while I am at it let me remind the great AT of the numerous comments, now lost archives-gate controversy, warning of the coming of such events we are observing today – much like SJG’s table cover promise. I don’t know what to make of the sudden tolerance of guayla “nAAdeye nAAdeye, nhagerye nhagereye” song he is playing in the background. Perhaps signs on an olive branch to his friend General Philipos= a sign of SJG signifying his readiness for and to lead the must paradigm shift by all towards Counter Narrative 2018 – 2X + Saay’s 7 = 27 @. The Metatron is a geometric shape that has been mapped out telling us the real shape from the infinitesimally small to the infinite big picture of anything that exists in the universe. In the metatron you can fit the five platonic solids. As you know it has been proven that all of the elements on the periodic table can be broken down to the fundamental five spheres from the tetrahedron ot dodecahedron. The implication here is that it ain’t so bad to be the fly or ant on the wall for so long. A start for the scientific counter narrative. 11:11AM end of the 5,125 year calendar …. End of the passe’ narratives. Being a mathematician, I expected more that that from you. You missed by miles my dear. Do it again and you might reach a different conclusion. By the way, I was mentioning Zekarias way since he was assassinated, in the days of Dehai. It’s not the first time I mention him. AS for repeating stuff from the old days, brace for that Tsatse, we are back to square 1 and I am fishing old stuff serves just fine. ng to say more when what was discussed long ago can be recycled with the same effect. Of course you know that each of the three topics is worth a book but having to do it in a summarized form does not cover the entire topic. And I can neither go on and on for hours, nor refrain from mentioning stuff that I want to communicate. I am sure you understand. By the way, for some reason I missed your last comment–my apologies. And double THANK YOU. I don’t believe I have taken a shot. ኣያ/ኣቦ ጸናሕ ኣነ ክዛረብ ዝብል ኣየናይ ደፋር ቆልዓ ከይትብለኒ ‘ምበር፡ I am merely speaking the thoughts that are conjured from your very though provocative 11th presentation. I don’t think I will miss with numerous best shots I intend to capitalize on, so I can’t miss. If you mean understanding you, yeah, I could miss. And the guilty feeling of disappointing ayyatat just doesn’t have an effect on me anymore. Ten+ for on this one you are addressing real issues with conviction. Yeah. 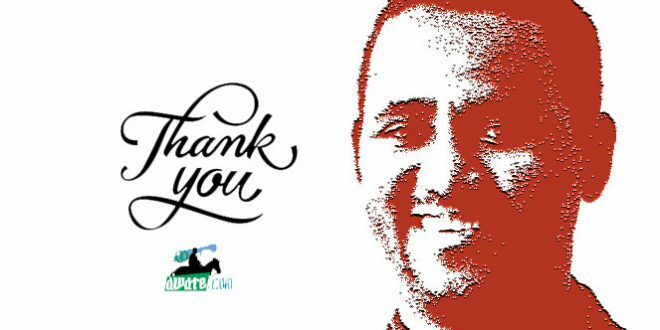 I wish I was in a free country at the time–but living in the Middle East, at the mercy of Ethiopian and Eritrean embassies, I paid dearly my friend. Very dearly. So did my family. I am glad you like the clip. Indeed, they are acting like peaceniks now while drooling juices mixed with an alphabet soup of P E A C E–even the known warmongers. I wonder how they switch from one extreme position to the other in a second. Amazing lots! I felt terrible about the way you go back to 1976 and still remember the way you have known Flipos, still you guys have soft heart for people you know , is this just to guard your friendship or what ever it is you guys have for each other . What were you thinking? Flipos is a silent killer because he never talk . His second hand in 2001 wedi memhir and his logistic guy wedi Syum Aka do not talk openly. I have to read if the guy can even explain his political views openly. He is a silent killer , yes you baddy is just a silent killer and I am happy you did not find him in 1994 because he would have convinced you be just as of now but on behalf of Issaias. Still a great story and question to Flipos. Please turn off the backgroup audio, it is annoying and loud. 2. To know what I was think, you have to be me… and I am not telling you. 3. I was not acting as a judge or any law-person when I was recording. It has other goals, bigger than the details you seem to know about more than I do. But that was not the gist of the message. 5. This is an advise to you. On Kenya, you insinuate that you know the cause, the differences, and what transpired. However, I know you that you know nothing about it except what I chose to share in Negarit. So it would be wise not to delve into something you are totally ignorant about. and till pretend to know about it. It’s just an advise if you are willing to take it. Now for the bonus because I like you. a) if you are curious, ask, I might entertain your questions. b) wait for the opportune time when everything will be disclosed. d) do not stand as inspector on whatever I say and write but ask, debate and criticize in good spirit–not in the usual way you formulate your comments. 6. I never prevented (nor do I have the power) to stop or let anyone say whatever they want. Proof, you are commenting here all that you wish and sometimes I spend my time moderate it. So, don’t pontificate: “Come on let him have his Erimedrek and say what ever he wanted.” I do it “bgbri” as your fiends say. You can still have a background sound but please make it low as it is very difficult to hear your message as the background music was overwhelming your voice.